A literature review is a special type of academic writing whose goal is to analyze available literature regarding a certain problem. The problem in question may be derived from different fields of knowledge: natural science, humanities, arts, and others. Every college student with a flair for writing academic papers should know how to write a critical literature review. This is a necessary part of the diploma or PhD thesis. 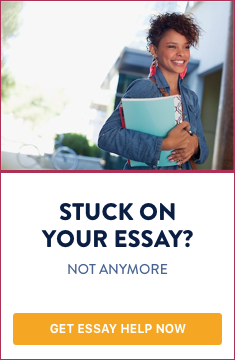 Moreover, the length of this type of writing can vary, so you should always ask your instructor what to include in the review and whether it should be a separate essay or part of the diploma thesis. In order to carry out a good research on your topic, you need to find relevant literature. For a PhD student, for instance, this stage can last several months and even a whole year. Thus, even if you do not realize it, you should intuitively learn how to write such a review by yourself. Selecting relevant titles and eliminating the ones which are not of use for you from the list is also part of the process of writing a critical literature review. Likewise other types of essays, here you have to define your topic clearly and accurately. The wider your topic is, the more titles you should review. As you see, it is better to come up with a narrow topic. There you should have your topic and problem precisely stated. For example, a topic like “Motives for emigration” is far from precise. It is better to state it in another way; for instance: “Psychological motives for emigration amongst young Mexicans in the city of X”. When you have a well-defined topic, it is easier to find relevant literature; otherwise, you will just waste your time. The easiest way to do this is to search in the academic databases. Another way is to search in library e-catalogs. Now, your keywords should be “Mexican” and “migration/emigrants”. Gather together all relevant information. It is recommended to read the abstracts only, and not the whole papers that you have found. Remember: academic databases usually contain journal articles and small parts of the books only. In order to find abstracts of the books required for your research, you will need to browse the library catalog, or visit the web page of the publishing house in question. If you have found a hundred of titles or so, now you should reduce their number to twenty or thirty. You should pay attention to the newest developments in the field, since articles from 1970s or 1980s will contain outdated information. Also, select three titles at most written by the same author in order to ascertain the plurality of your critical literature review. Another advice is to select titles in different languages (in Spanish, for instance). Present the current situation; are there any pieces of research on the topic? How many? Show their interconnectedness (debates between the authors, for example), if there is such. Show perspectives for future research. Introduction of the topic and the variety of literature available, as well as how these titles can be found; on the internet or only in the library, etc. Theory A concerning the topic. This will be the theory, which most suits you and you will try to prove it as the most reliable. Theory B concerning the topic. Theory C concerning the topic. Conclusion. What are the flaws of the exposed theories? Why are you arguing for theory A? How, in your opinion, can it be developed further? As you see, the most important part is to gather the necessary data. However, it does not mean that you can just ignore the other part of the writing - evaluation of the available literature. We recommend to plan the first part of your paper well in advance, at least several months before writing your diploma thesis. This will help you write a better and more coherent critical literature review. Do you need help with writing a critical literature review?